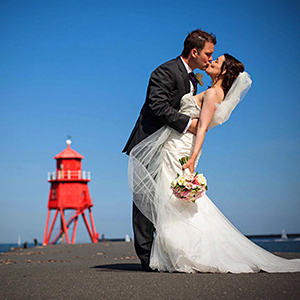 The Little Haven Hotel is affiliated with Whitburn Golf Club. Discounted rates are available. Please contact hotel for more information. Hole No.12 is stroke index one and it merits it. This hole is the definitive hole on the course, at 435 yds it is quite long but drives are often assisted by the prevailing wind. Unusually there is out of bounds within the course on the right, over the dry stone wall. The second shot is all carry, over the pond, many of the local members lay up hoping to achieve par with a single put, not always possible with the considerable slope on the green. Contact our team to discuss your requirements on 0191 455 4455. 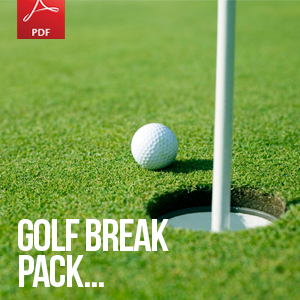 Download our Golf Break Information Pack- see right. 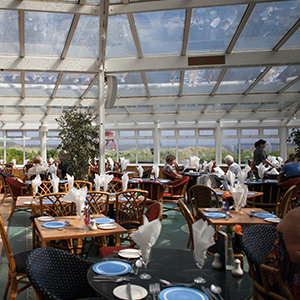 Enjoy a varied & exciting wining & dining experience in the boardwalk restaurant fashionably set in the conservatory overlooking Littlehaven beach and the lively waterfront. 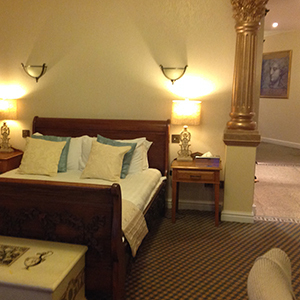 Sign up to our newsletter to keep updated with all goings on at The Little Haven Hotel.